David Le/Gloucester Daily Times. 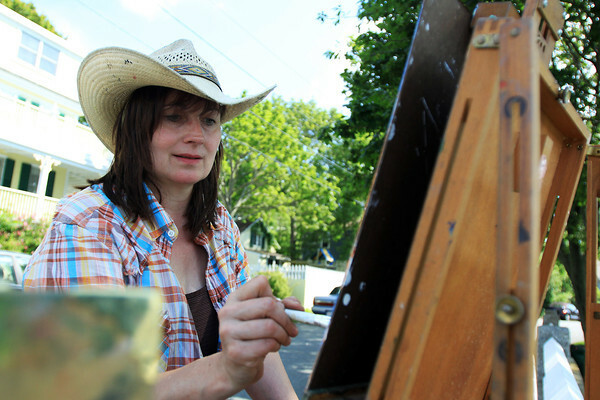 Tarryl Gabel, of Hyde Park, NY, sits across from Bearskin Neck and paints on a warm Wednesday afternoon. 6/29/11.